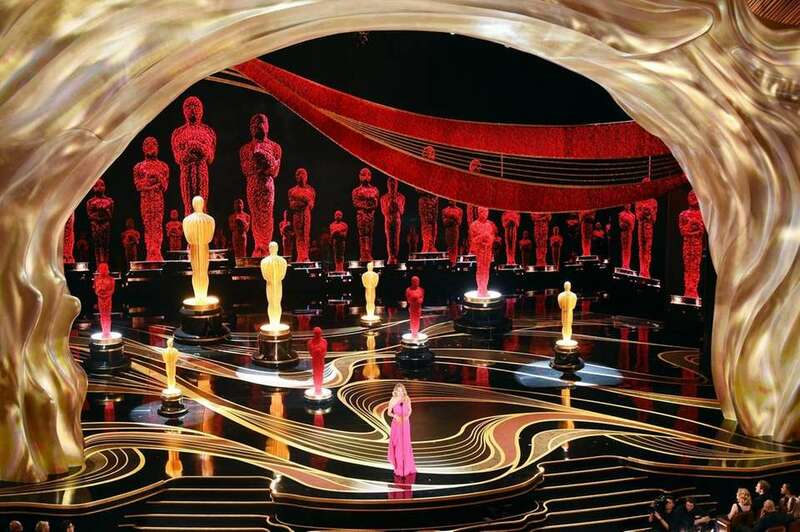 Catch all the action, from red carpet arrivals to the big winners, during Hollywood's biggest night, the Academy Awards. 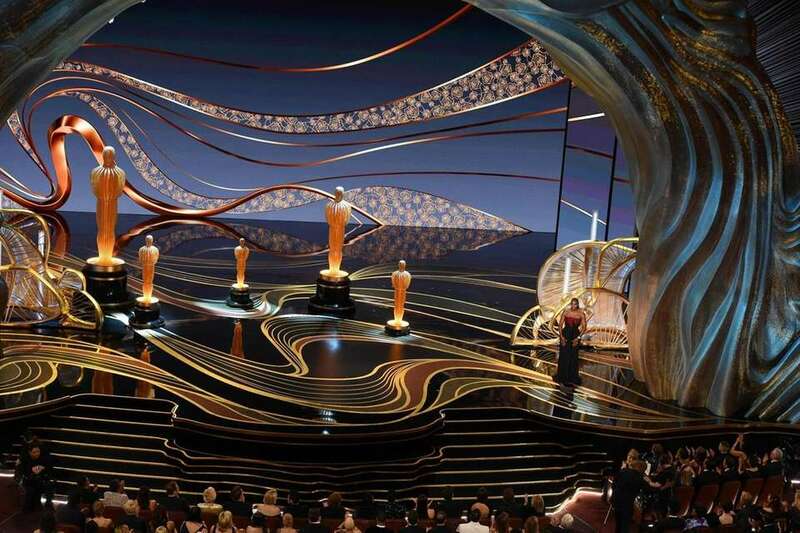 The 91st annual Oscars ceremony aired live on ABC from the Dolby Theatre in Los Angeles on Sunday, Feb. 24. 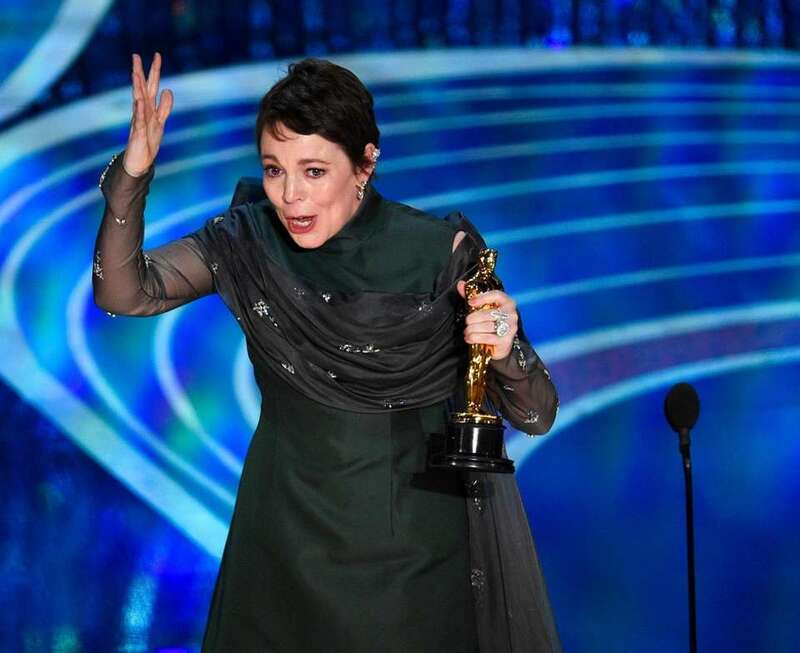 Olivia Colman accepts the award for best performance by an actress in a leading role for "The Favourite" during the 91st Academy Awards. Actress Julia Roberts presents the best picture award during the Academy Awards. Julia Roberts presents the best picture award during the 91st Academy Awards. 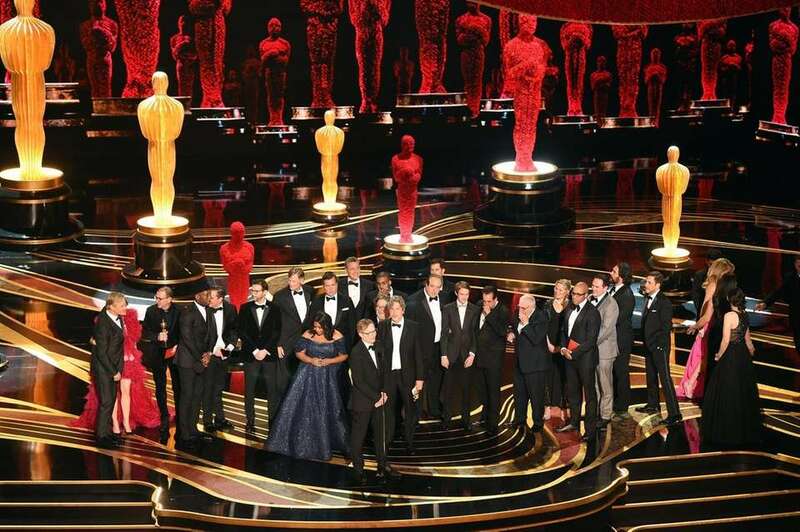 Cast and crew of "Green Book" accept the Academy Award for best picture. 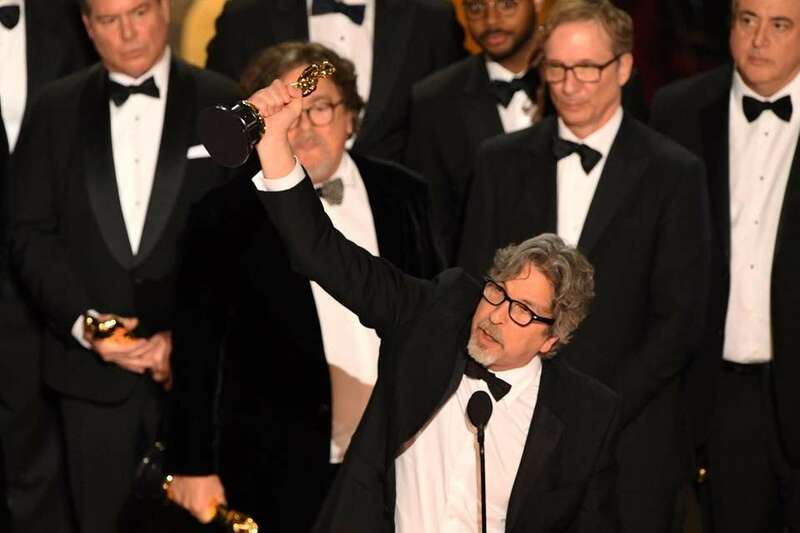 "Green Book" director Peter Farrelly accepts the award for best picture with the crew during the 91st Academy Awards. 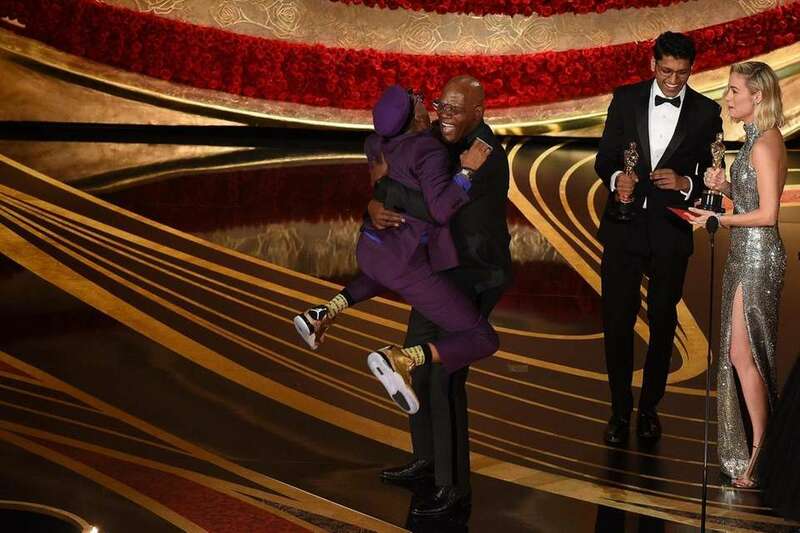 Spike Lee jumps into the arms of presenter Samuel L. Jackson as he accepts the Academy Award for best adapted screenplay for "BlacKkKlansman." 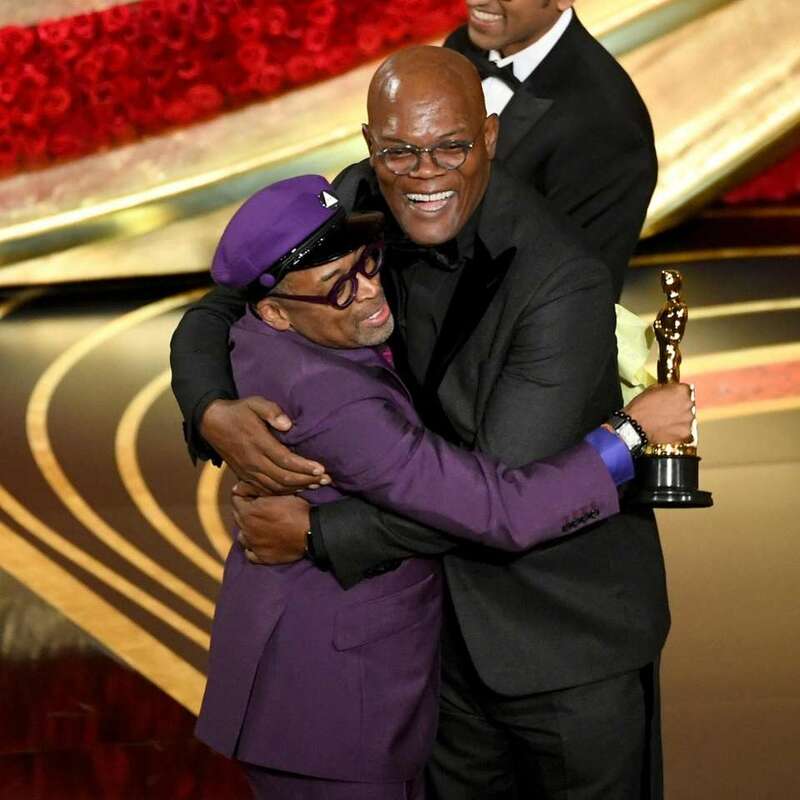 Spike Lee embraces presenter Samuel L. Jackson while accepting the Academy Award for best adapted screenplay for "BlacKkKlansman." 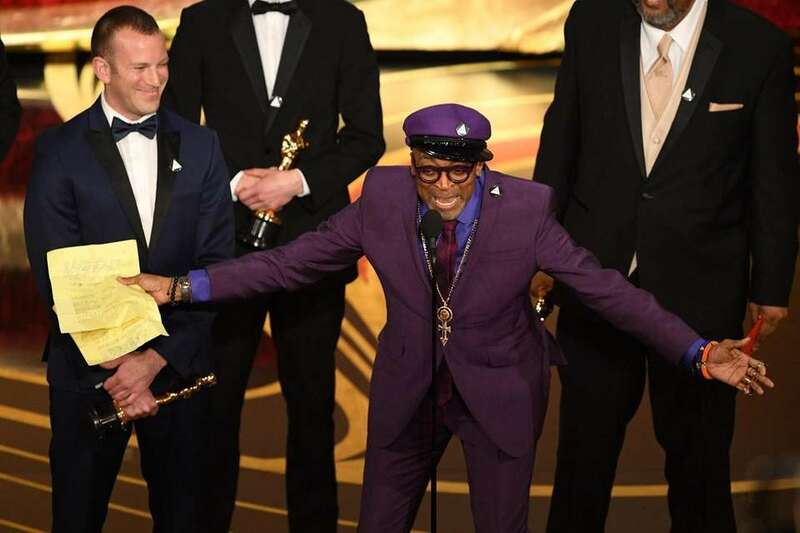 Spike Lee accepts the award for best adapted screenplay for "BlacKkKlansman" during the 91st Academy Awards. 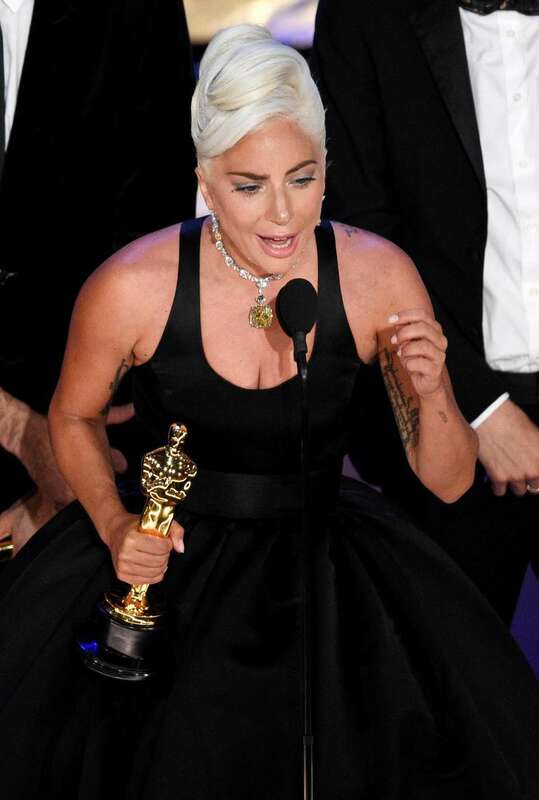 Lady Gaga accepts the award for best original song for "Shallow" from "A Star Is Born" during the 91st Academy Awards. 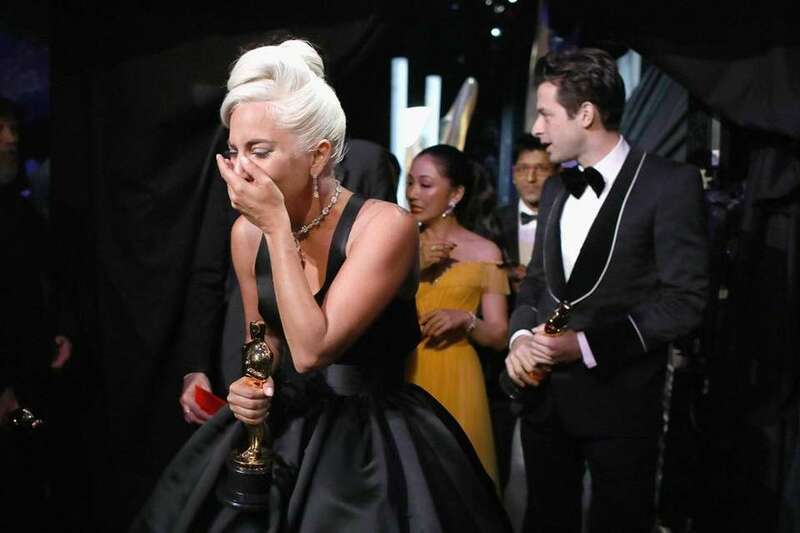 Lady Gaga backstage during the 91st Academy Awards with the Oscar won for best original song for "Shallow" from "A Star Is Born." 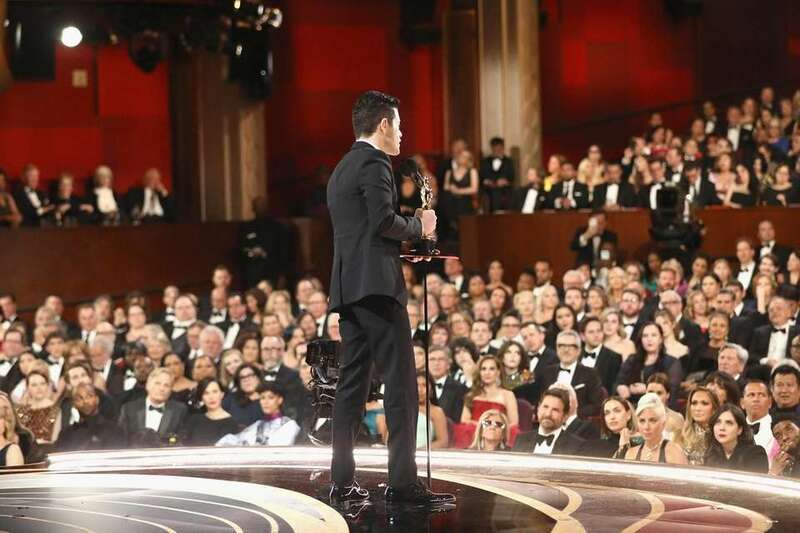 Rami Malek accepts the award for best actor for his role as Freddie Mercury in "Bohemian Rhapsody" during the 91st Academy Awards. 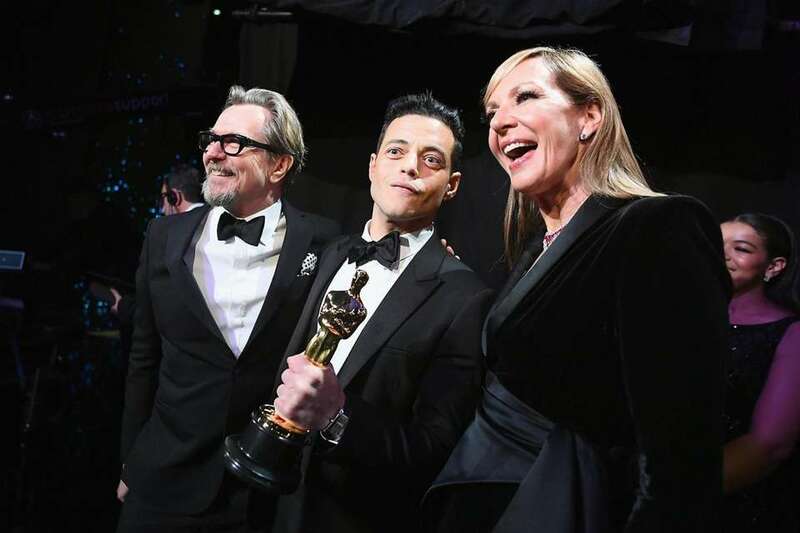 Gary Oldman, Rami Malek and Allison Janney backstage during the Academy Awards. Jennifer Lopez arrives at the 91st Academy Awards. 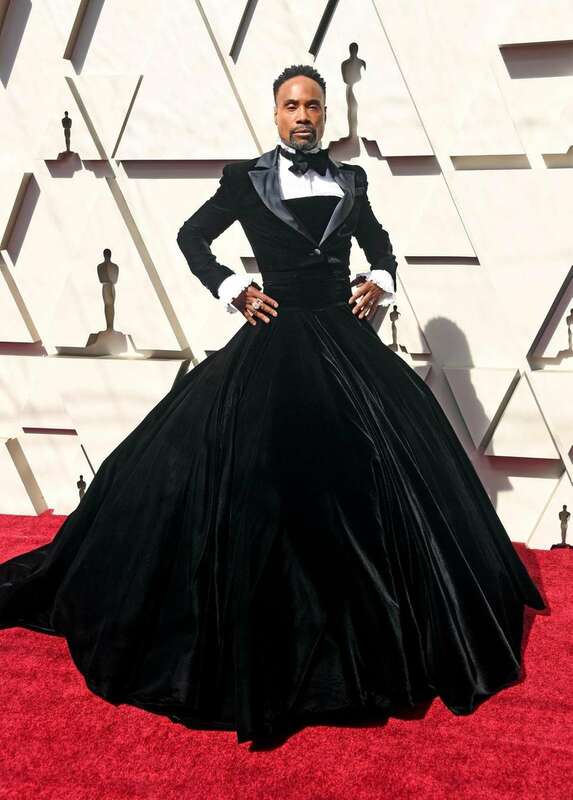 Billy Porter arrives at the 91st Academy Awards. 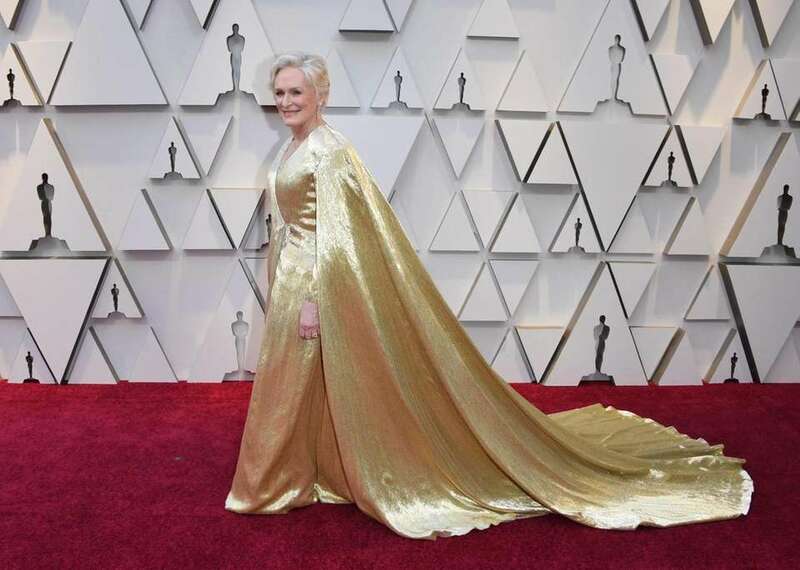 Glenn Close, nominated for best actress for her role in "The Wife," arrives at the 91st Academy Awards. 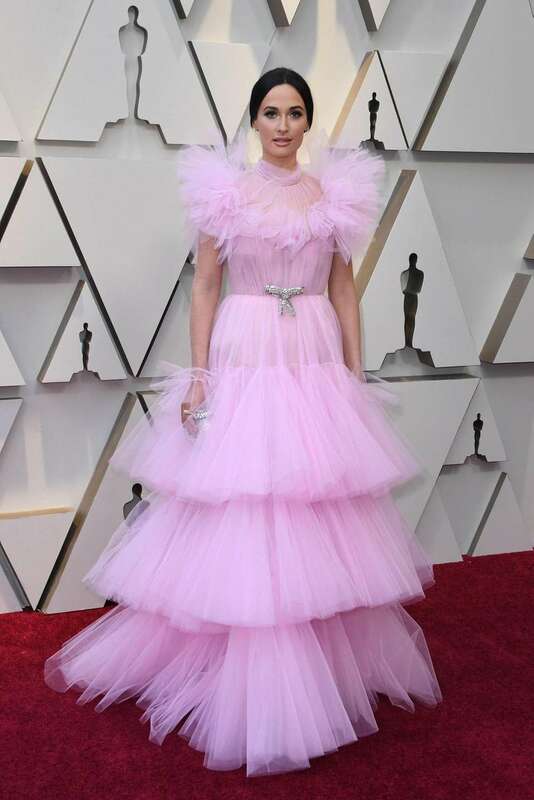 Singer Kacey Musgraves arrives at the 91st Academy Awards. Laura Harrier, one of the stars of "BlacKkKlansman," arrives at the 91st Academy Awards. 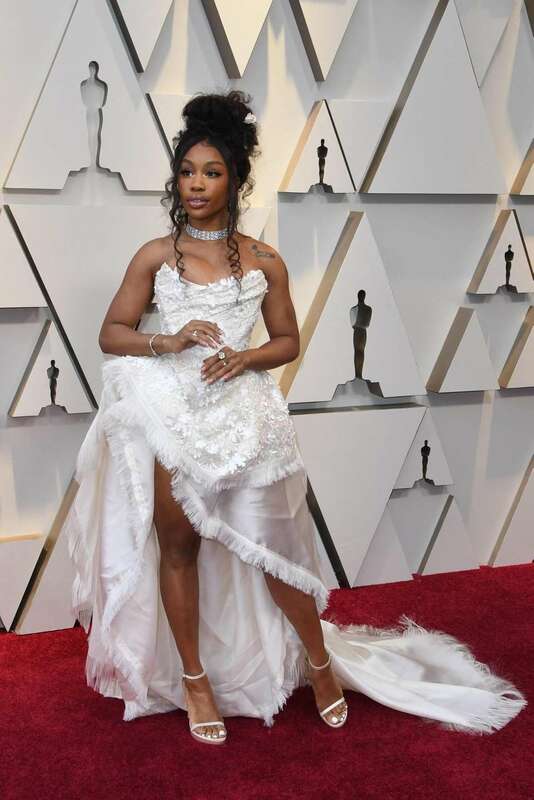 SZA, nominated for best original song for "All The Stars" from "Black Panther," arrives at the 91st Academy Awards. Singer Jennifer Hudson arrives at the 91st Academy Awards. 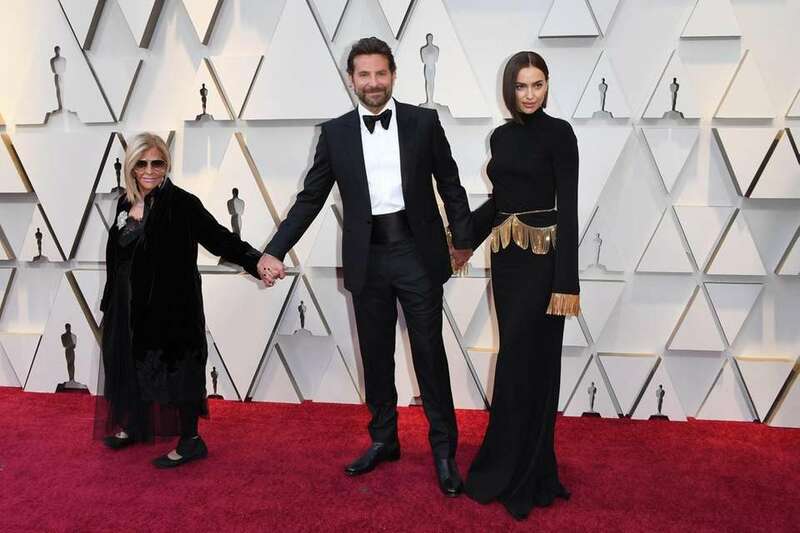 Bradley Cooper, nominated for best actor for "A Star is Born" arrives at the 91st Academy Awards with his mother, Gloria Campano, and his partner, model Irina Shayk. 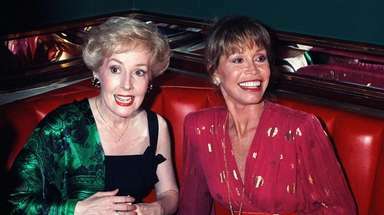 Marina de Tavira, left, and Emma Stone arrive at the 91st Academy Awards. 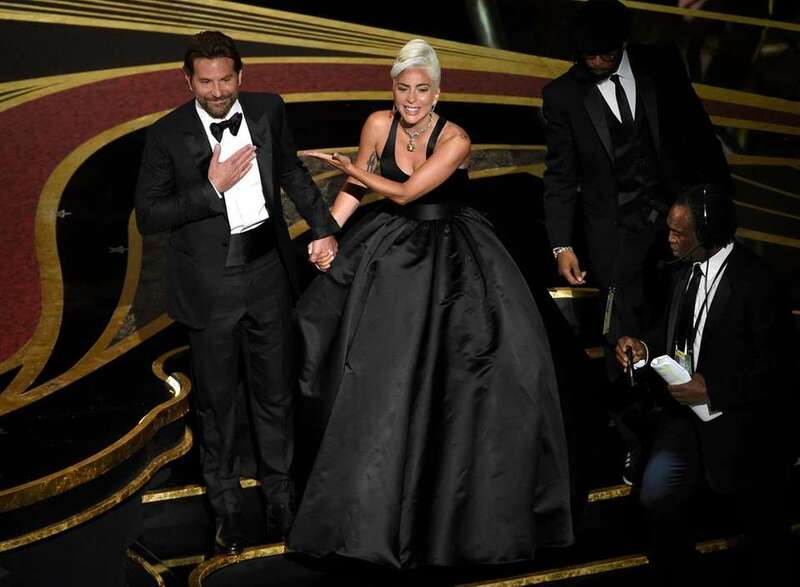 Bradley Cooper and Lady Gaga perform "Shallow" onstage during the 91st Academy Awards. Bradley Cooper and Lady Gaga react to the audience after a performance of "Shallow" from "A Star is Born" during the 91st Academy Awards. 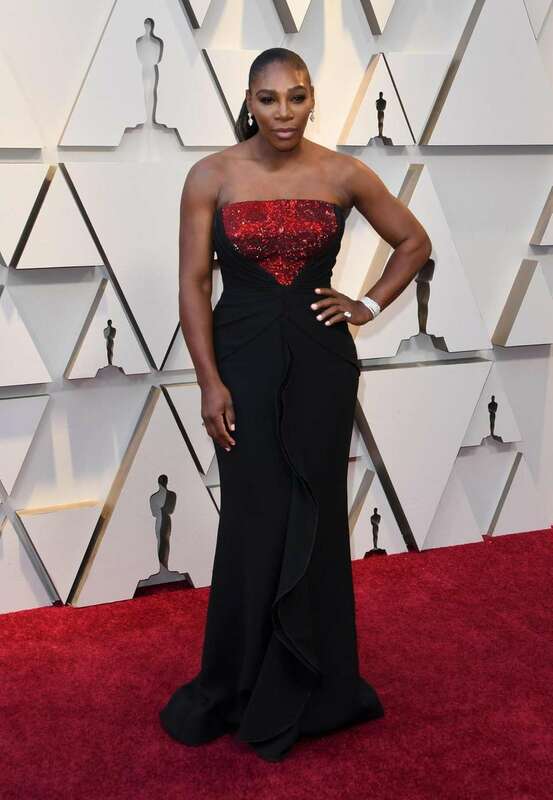 Oscar presenter Serena Williams arrives at the 91st Academy Awards. Actress Brie Larson, left, and her sister Milaine Desaulniers arrive at the 91st Academy Awards. 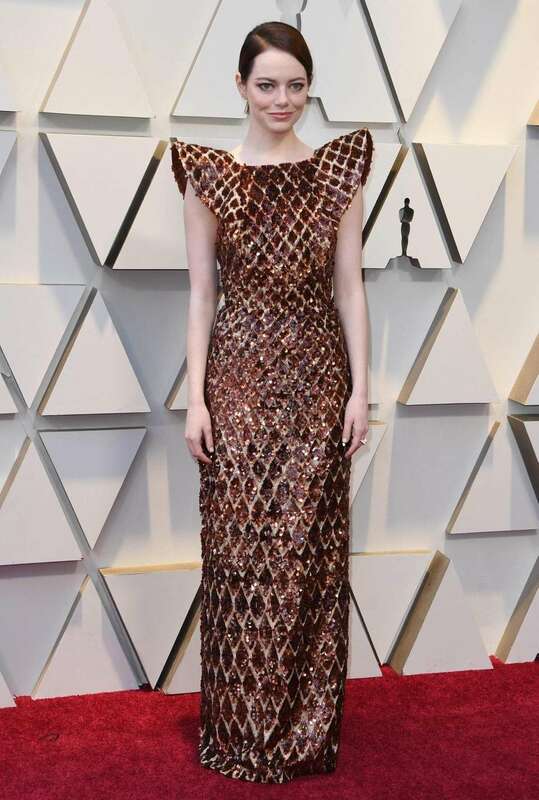 Emma Stone, nominated for best supporting actress for "The Favourite," arrives at the 91st Academy Awards. 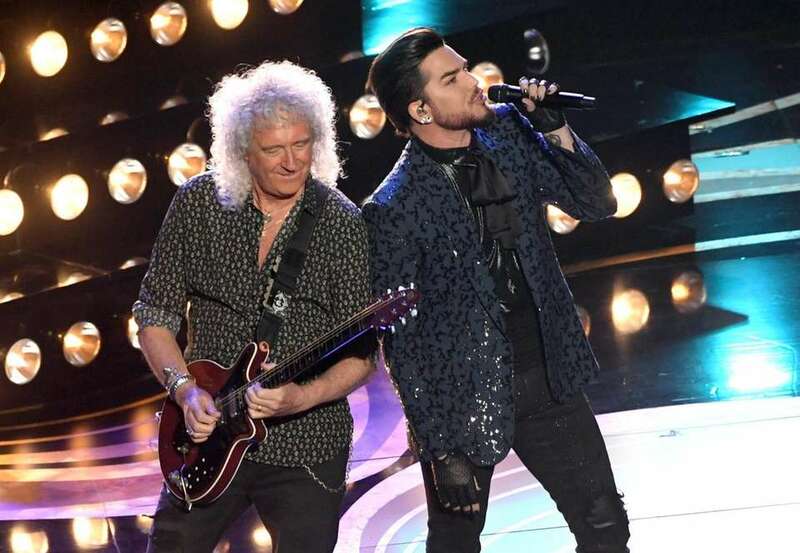 Brian May of Queen, left, and Adam Lambert perform a Queen medley to kick off the 91st Academy Awards. 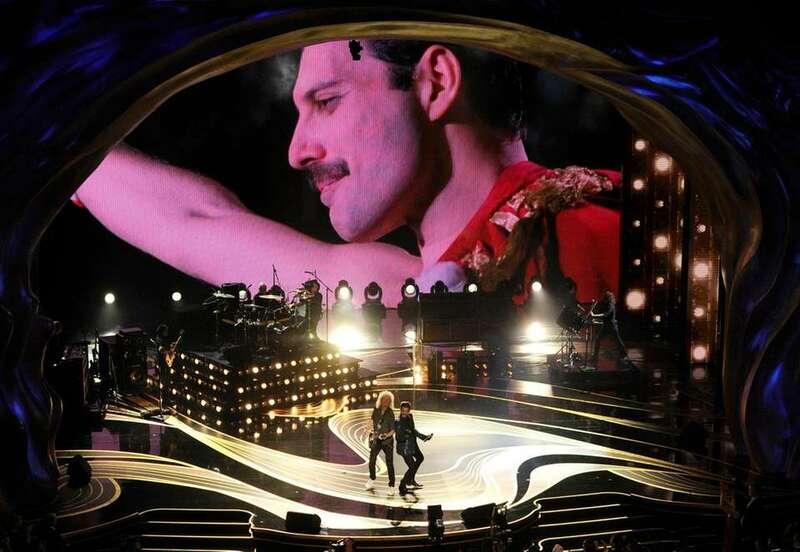 An image of Freddie Mercury appears on screen as Brian May, left, and Adam Lambert of Queen perform at the Oscars on Sunday at the Dolby Theatre in Los Angeles. Melissa McCarthy speaks onstage during the 91st Academy Awards. 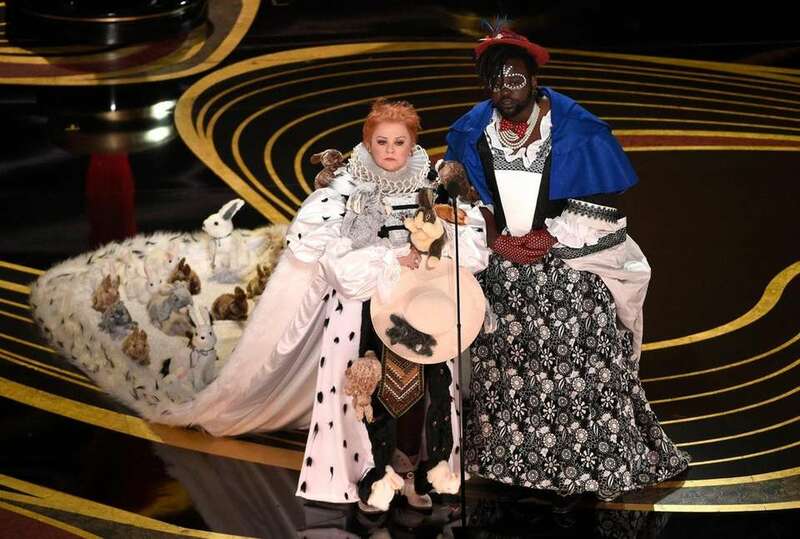 Melissa McCarthy and Brian Tyree Henry present the award for best costume design at the Oscars. 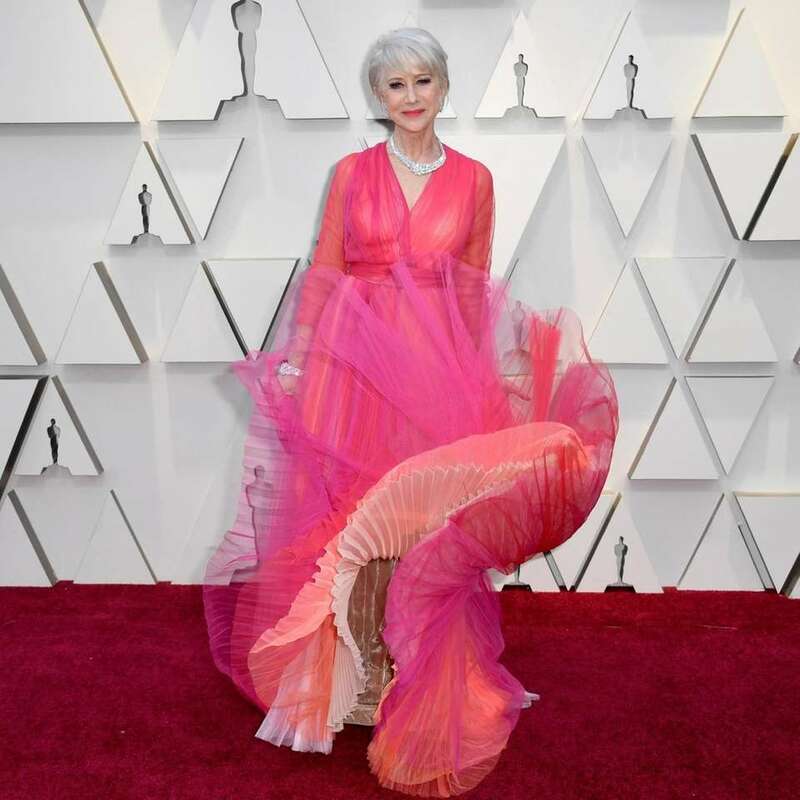 Helen Mirren arrives at the 91st Academy Awards. 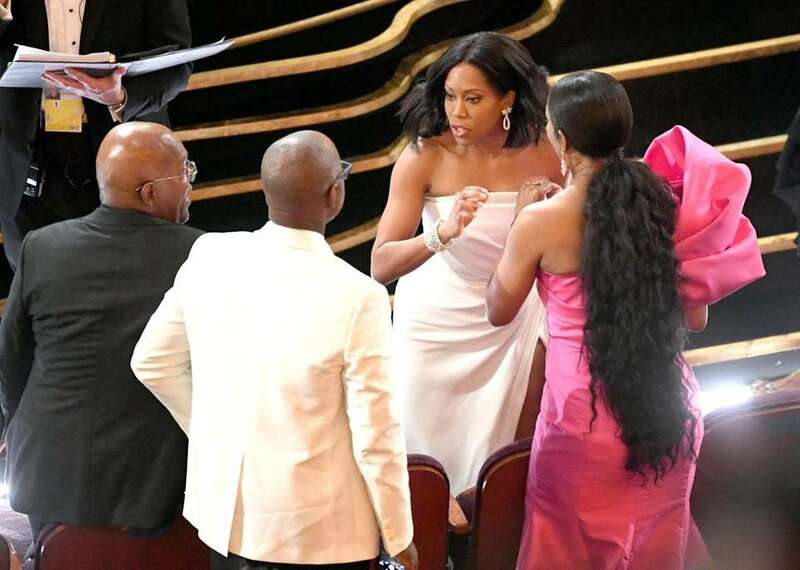 From left, Samuel L. Jackson, Courtney B. Vance, Regina King and Angela Bassett react as King wins the best supporting actress Oscar for her performance in "If Beale Street Could Talk." 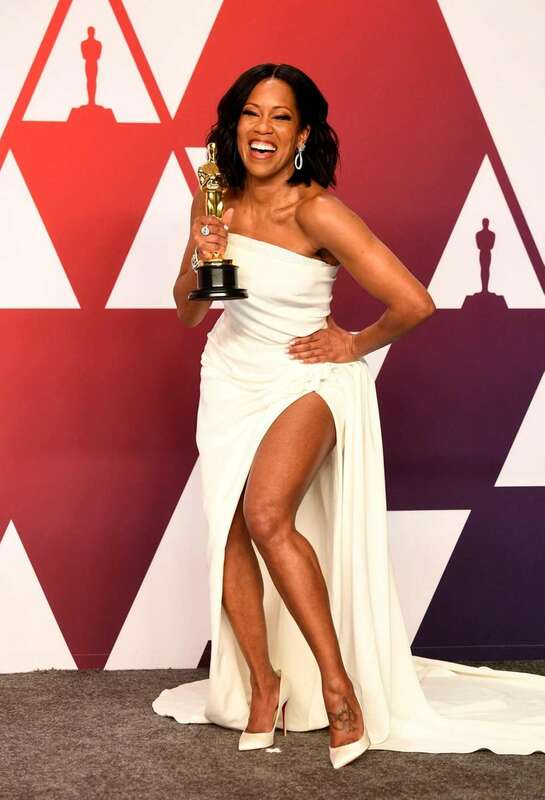 Regina King, winner of best supporting actress for "If Beale Street Could Talk," celebrates in the press room during the 91st Academy Awards. 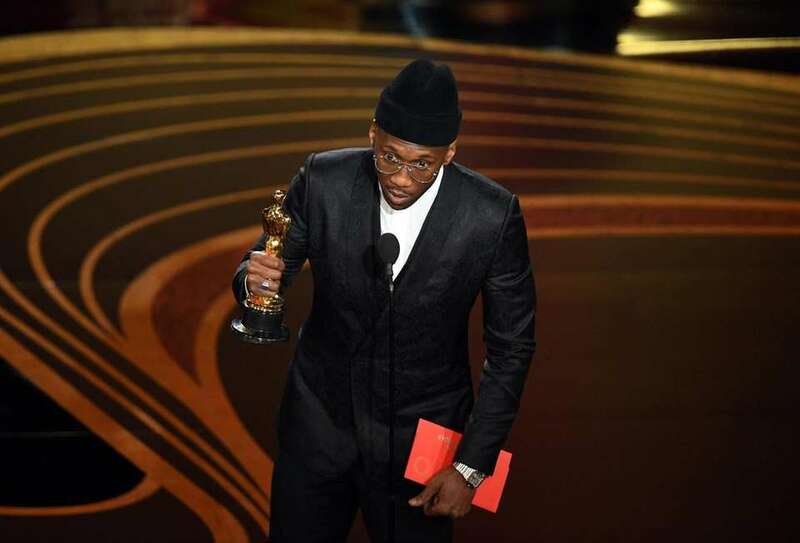 Mahershala Ali accepts the award for best actor in a supporting role for "Green Book" during the 91st Academy Awards. 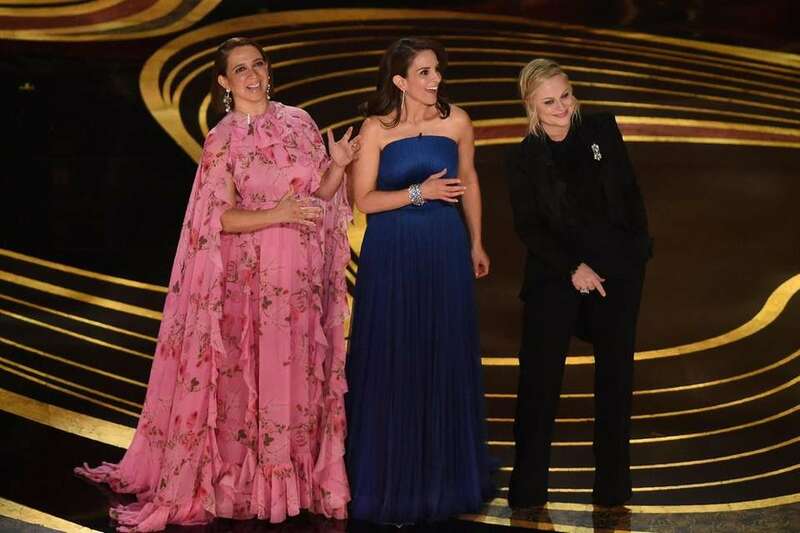 From left, comedians Maya Rudolf, Tina Fey and Amy Poehler do the opening monologue during the 91st Academy Awards. 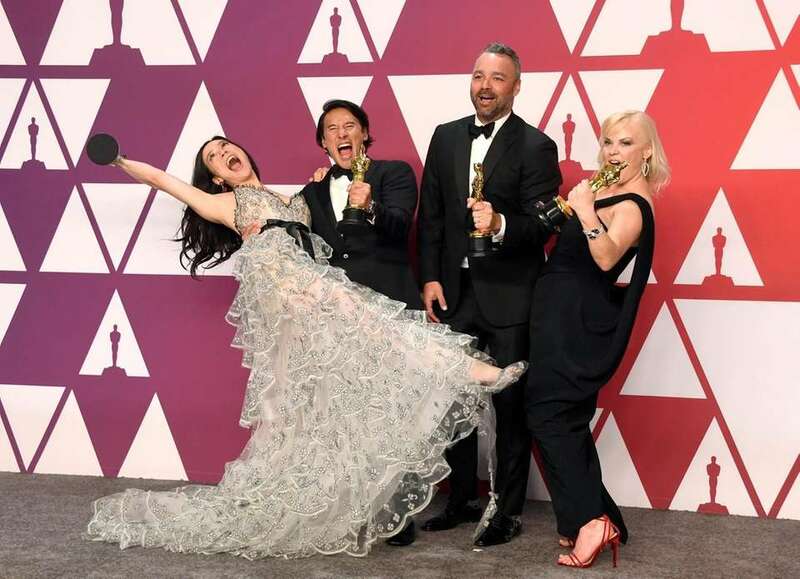 From left, Elizabeth Chai Vasarhelyi, Jimmy Chin, Evan Hayes and Shannon Dill, winners of best documentary feature for "Free Solo," celebrate in the press room during the 91st Academy Awards. 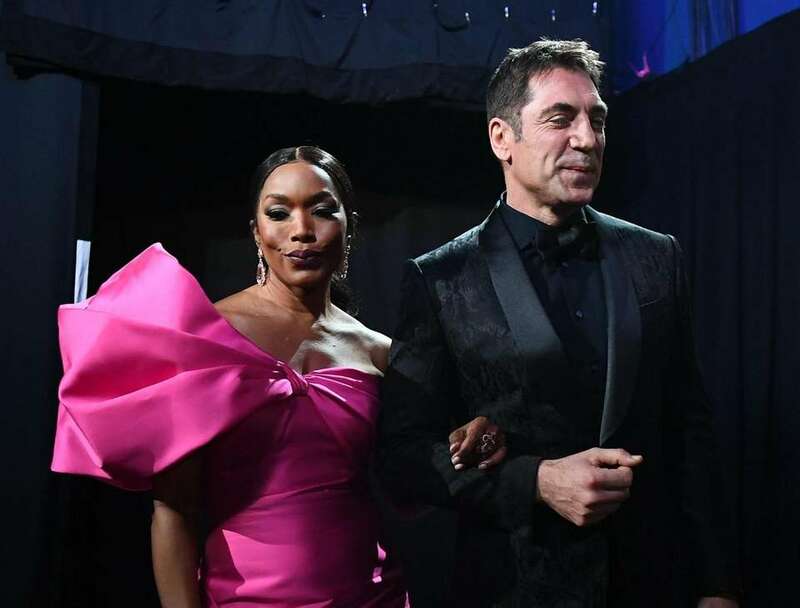 Actress Angela Bassett and actor Javier Bardem backstage during the 91st Annual Academy Awards. 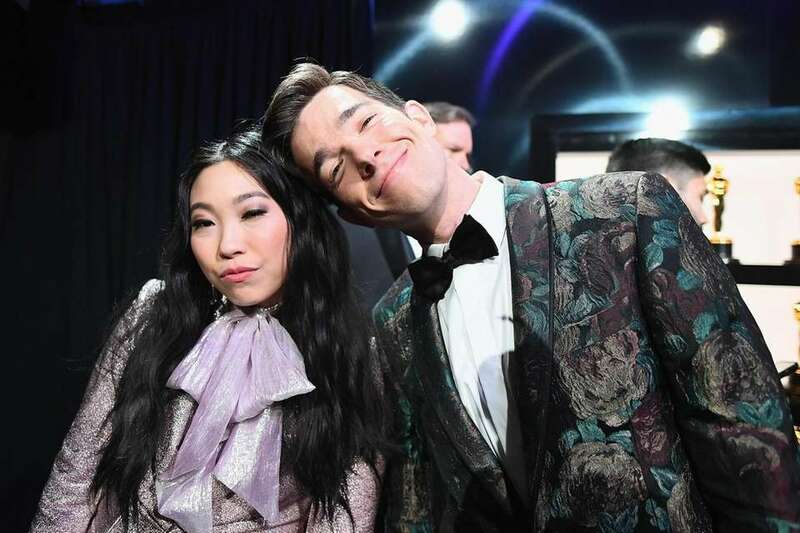 Musician/actress Awkwafina and comedian John Mulaney backstage during the 91st Academy Awards. 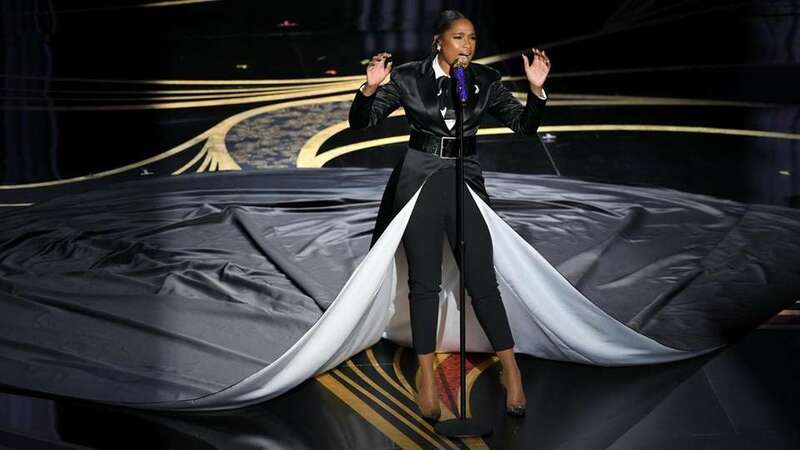 Jennifer Hudson performs "I'll Fight" from "RBG" during the 91st Academy Awards. 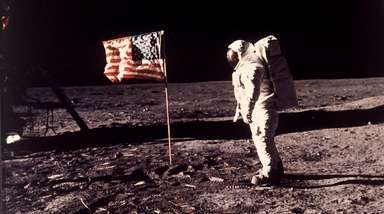 Presenter Serena Williams appears onstage during the 91st Academy Awards. 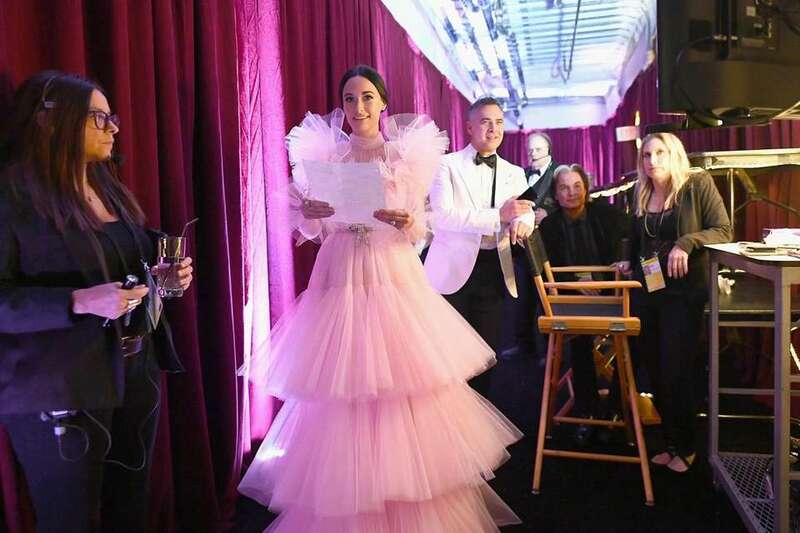 Kacey Musgraves backstage during the 91st Academy Awards. Best short subject documentary winners for "Period. 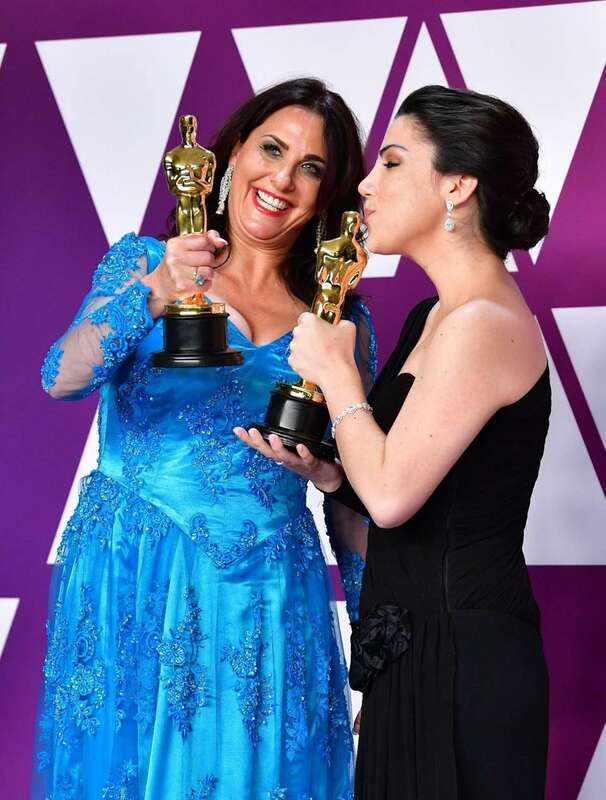 End of Sentence" Rayka Zehtabchi and Melissa Berton in the press room with their Oscars during the 91st Academy Awards. 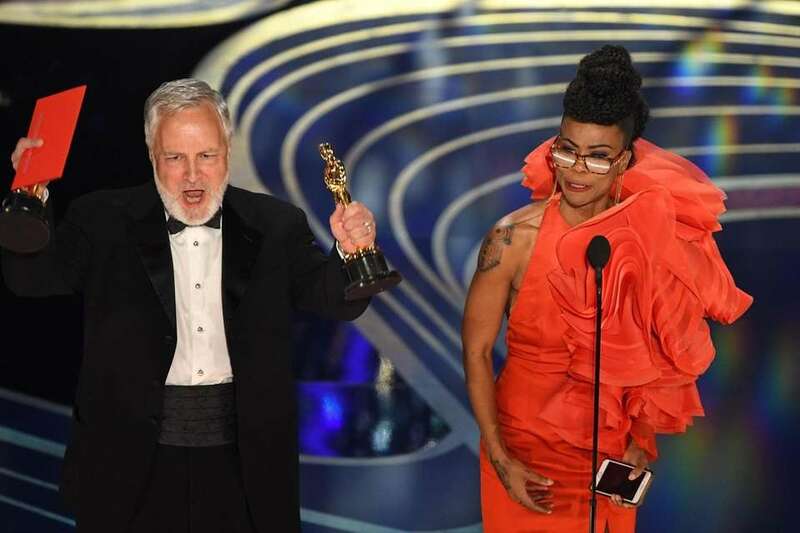 Jay Hart and Hannah Beachler accept the award for best production design, for "Black Panther," during the 91st Academy Awards. 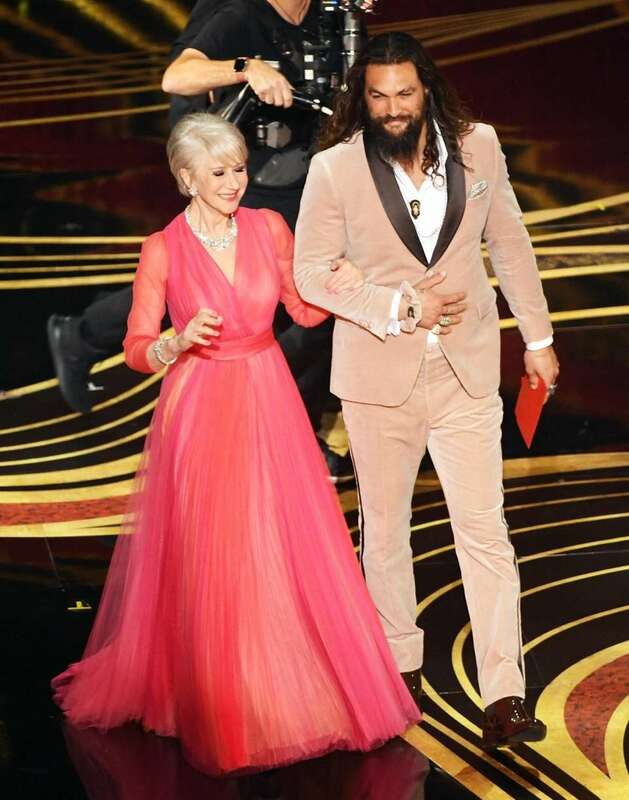 Presenters Helen Mirren and Jason Momoa onstage during the 91st Academy Awards. 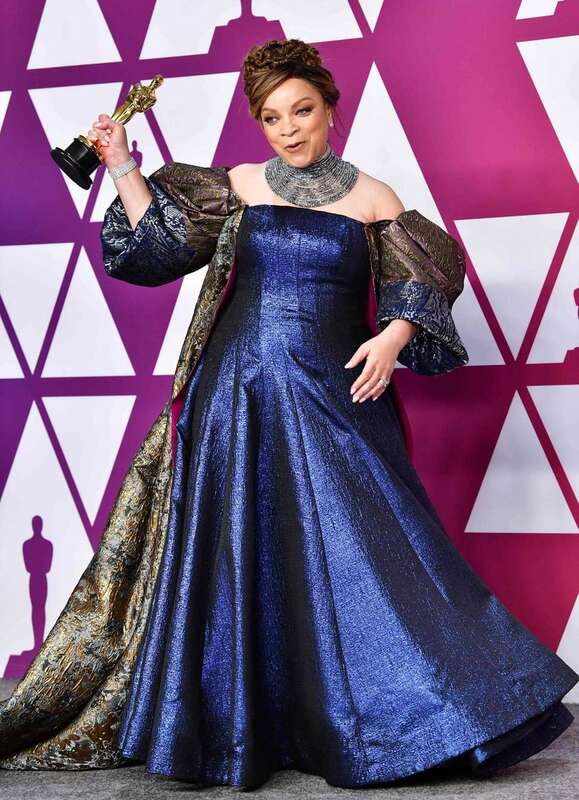 Ruth E. Carter, winner for best costume design for "Black Panther," celebrates in the press room during the 91st Academy Awards. 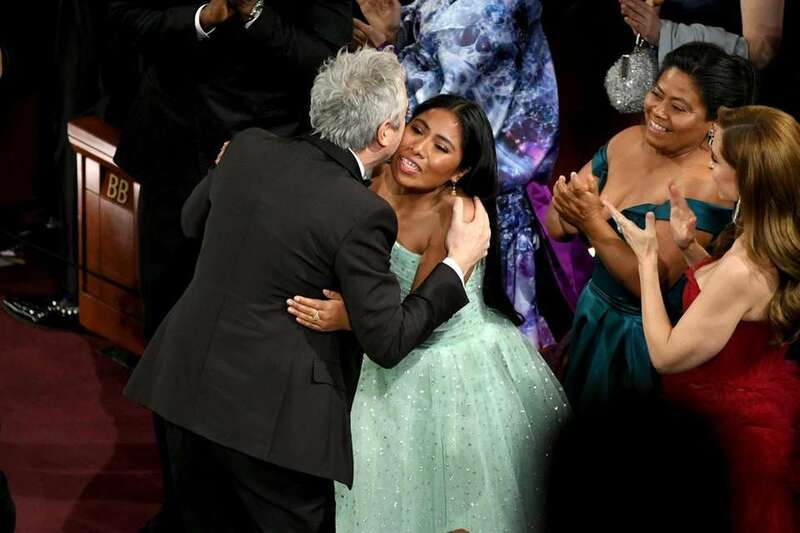 Director Alfonso Cuarón and star Yalitza Aparicio react after Cuaróon was announced winner of best cinematography "Roma" during the 91st Academy Awards. 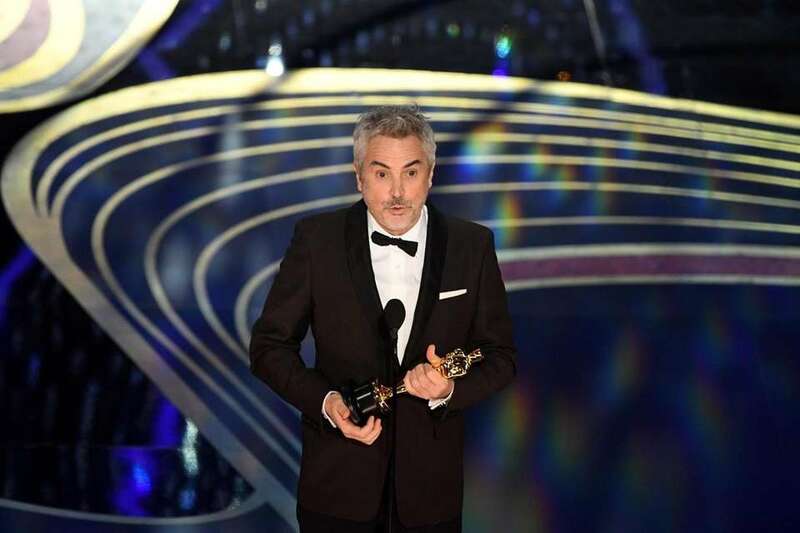 Alfonso Cuarón accepts the award for best cinematography for "Roma" during the 91st Academy Awards. 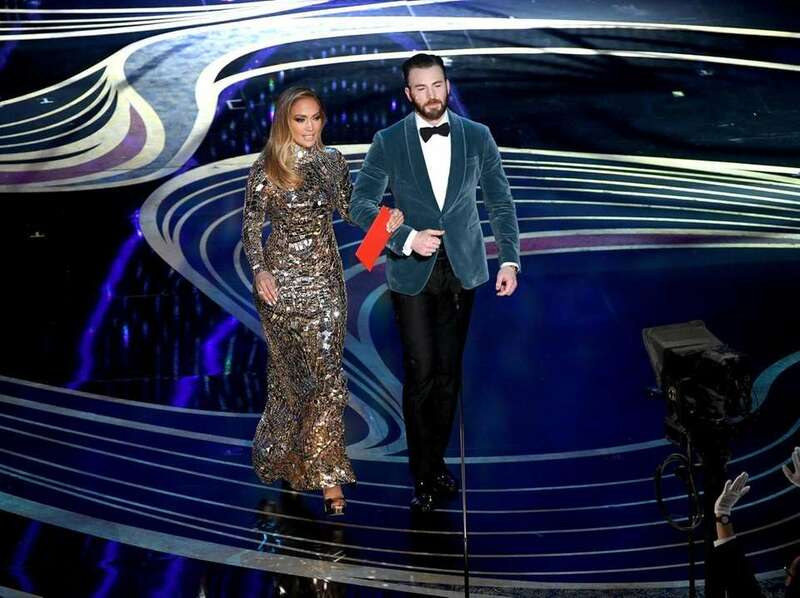 Presenters Jennifer Lopez and Chris Evans appear onstage during the 91st Academy Awards. Lady Gaga, nominated for best actress ("A Star is Born") and best original song (for "Shallow" from "A Star is Born"), arrives at the 91st Academy Awards. 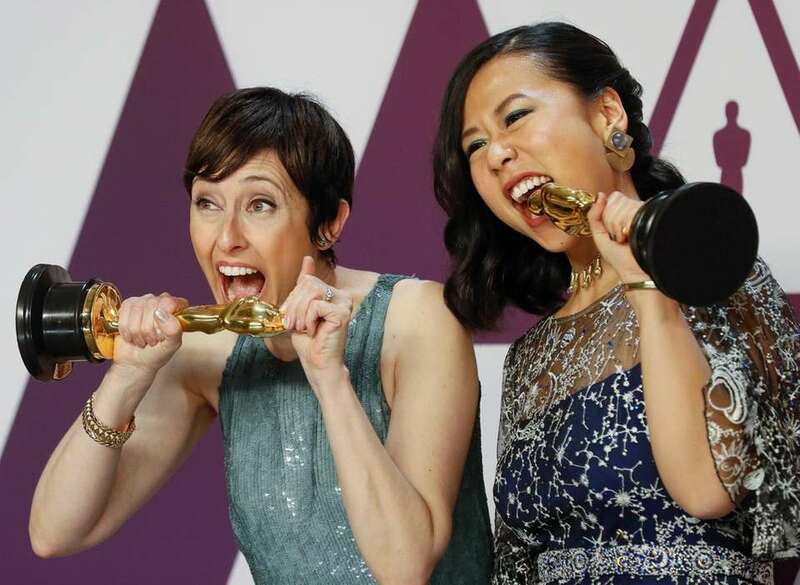 Becky Neiman-Cobb, left, and Domee Shi, winners of the award for best animated short film for "Bao" pose in the press room during the 91st Academy Awards. Rachel Weisz, nominated for best supporting actress for "The Favourite," arrives at the 91st Academy Awards. 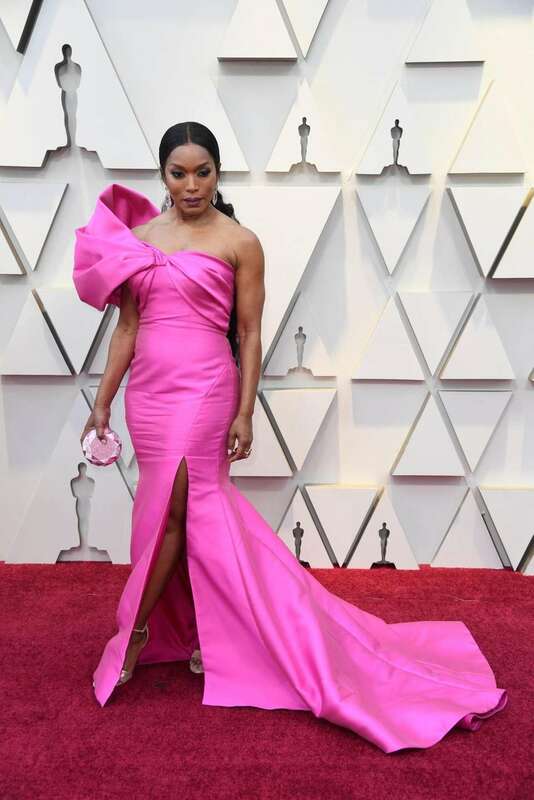 Angela Bassett arrives at the 91st Academy Awards. Irina Shayk and Bradley Cooper arrive at the 91st Academy Awards. 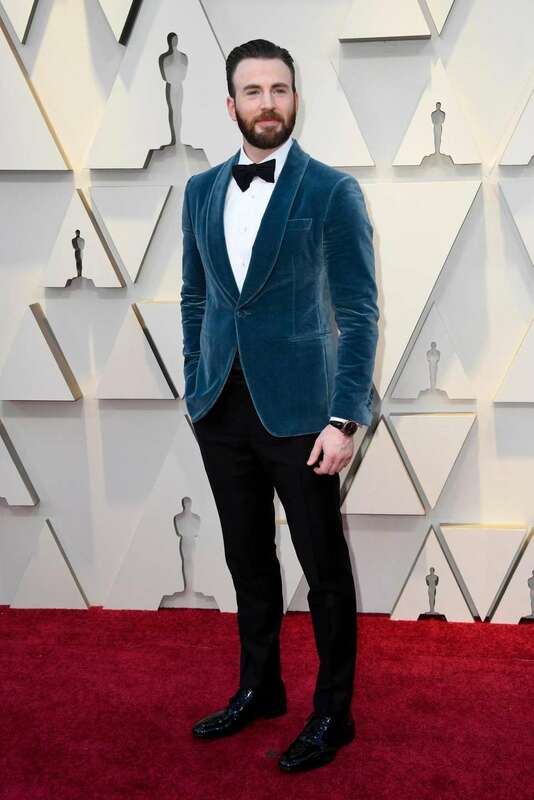 Chris Evans arrives at the 91st Academy Awards. Christian Bale, nominated for best actor for "Vice," and his wife, Sibi Blazic, arrive at the 91st Academy Awards. 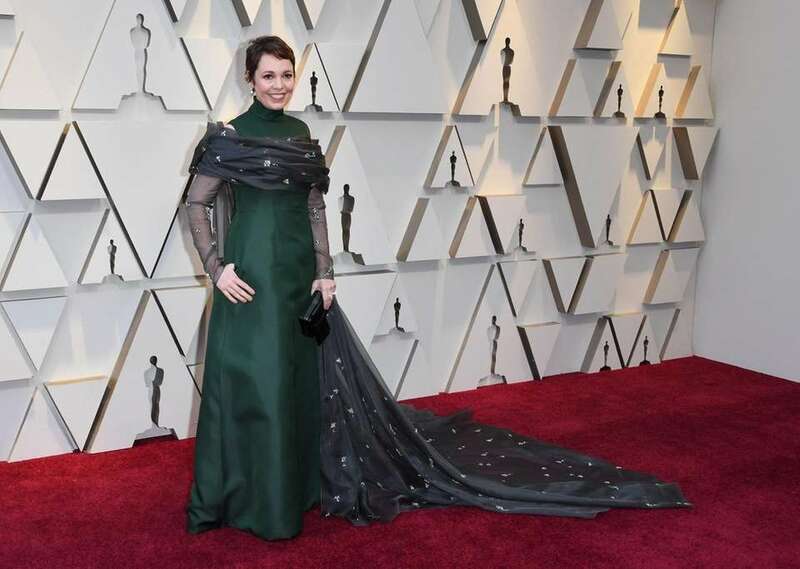 Olivia Colman, nominated for best actress for "The Favourite," arrives at the 91st Academy Awards. 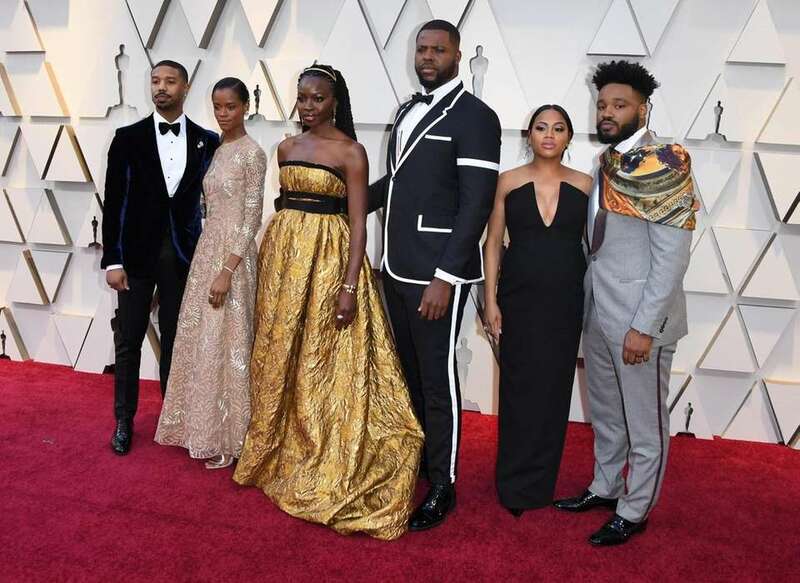 From left, Michael B. Jordan, Letitia Wright, Danai Gurira, Winston Duke, Zinzi Evans and Ryan Coogler arrive at the 91st Academy Awards. Kelly Ripa and Mark Consuelos arrive at the 91st Academy Awards. 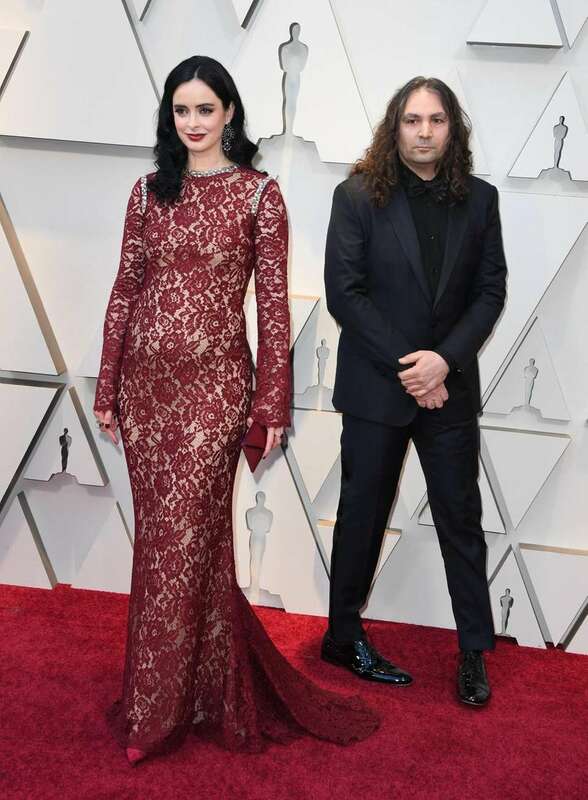 Actress Krysten Ritter and Adam Granduciel arrive at the 91st Academy Awards. Sarah Paulson arrives at the 91st Academy Awards. 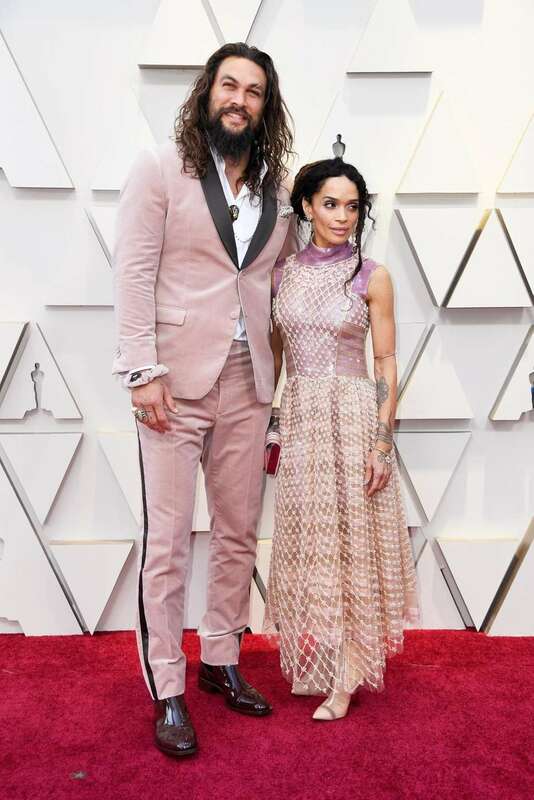 Jason Momoa and Lisa Bonet arrive at the 91st Academy Awards. 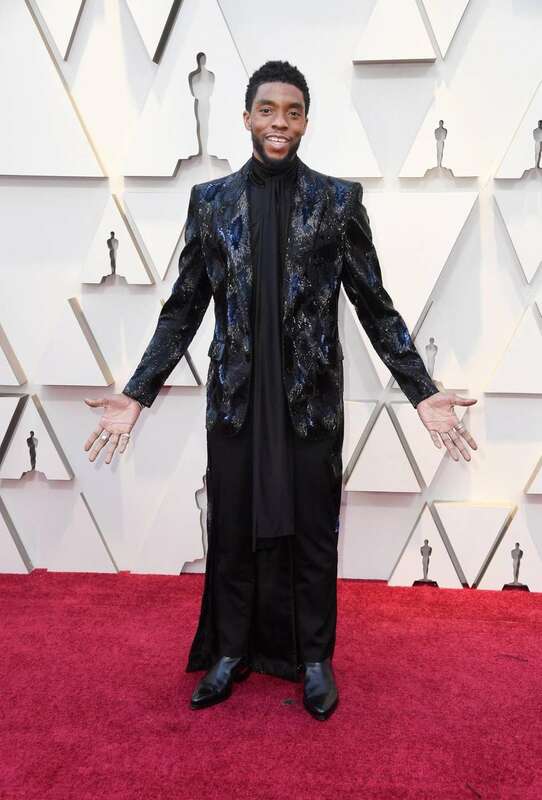 Chadwick Boseman arrives at the 91st Academy Awards. 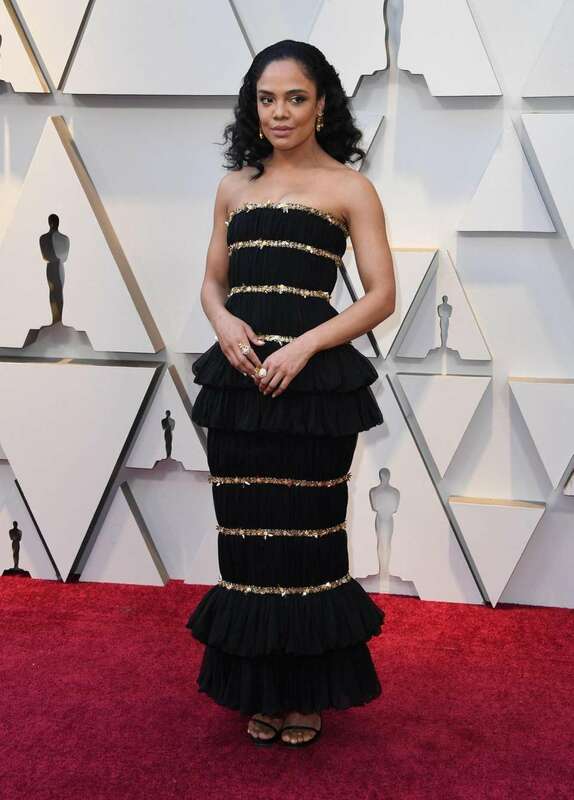 Actress Tessa Thompson arrives at the 91st Academy Awards. Charlize Theron arrives at the 91st Academy Awards. 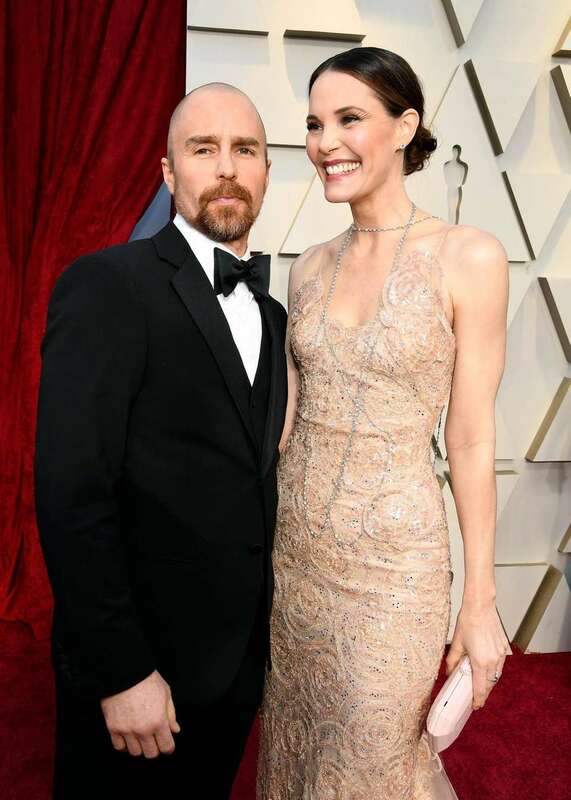 Sam Rockwell and Leslie Bibb arrive at the 91st Academy Awards. 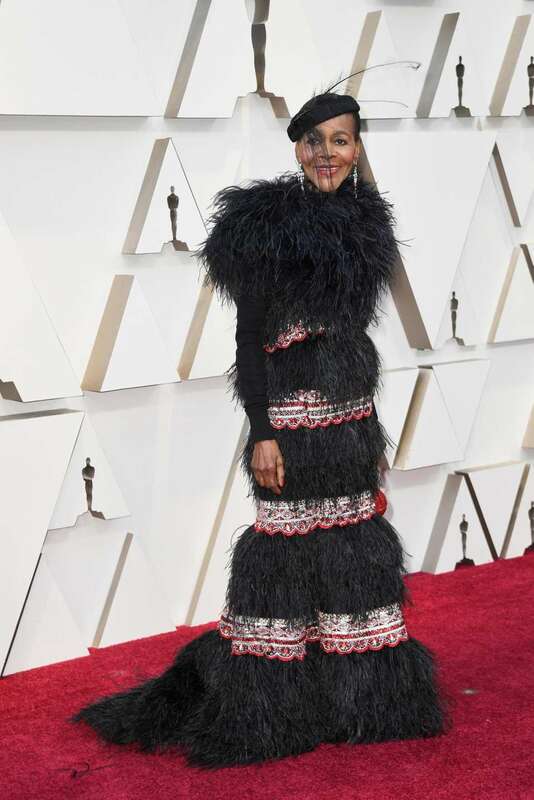 Cicely Tyson arrives at the 91st Academy Awards. Lucy Boynton arrives at the 91st Academy Awards. Molly Sims arrives at the 91st Academy Awards. Adam Driver, nominated for best supporting actor for "BlacKkKlansman," and his wife, actress Joanne Tucker, arrive at the 91st Academy Awards. 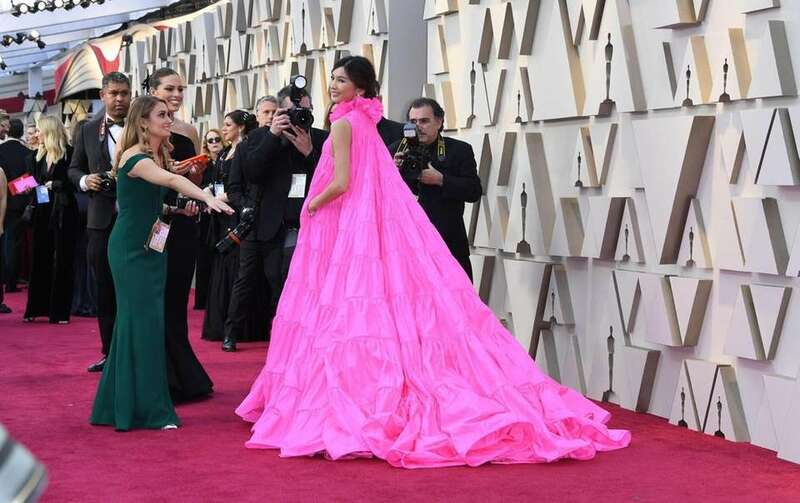 Actress Gemma Chan arrives at the 91st Academy Awards. 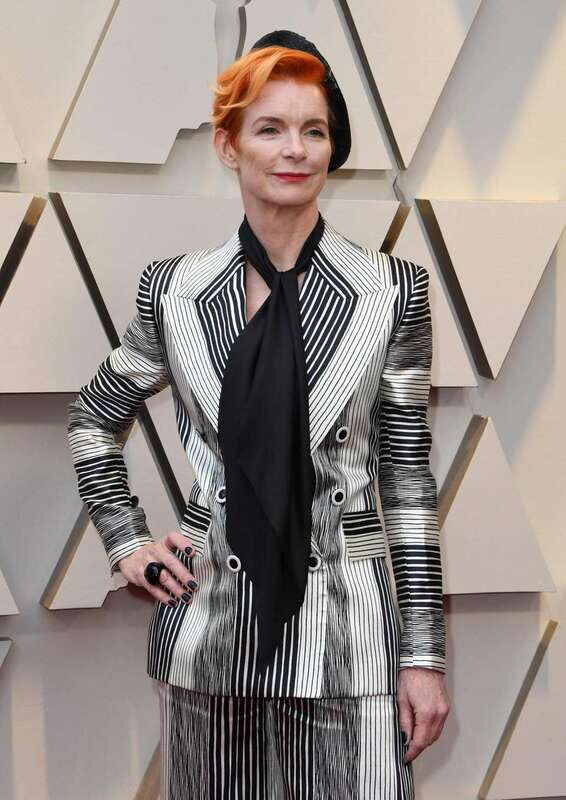 Sandy Powell, nominated for best costume design for "Mary Poppins Returns" and "The Favourite," arrives at the 91st Academy Awards. 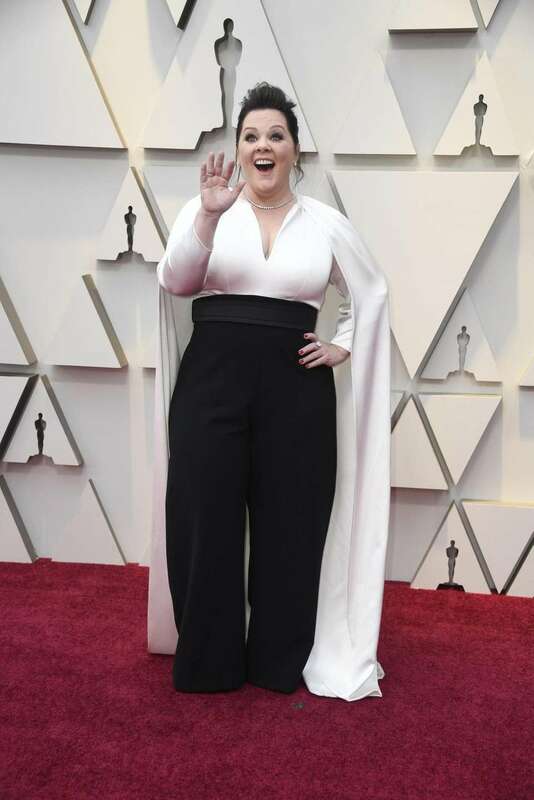 Best actress nominee Melissa McCarthy ("Can You Ever Forgive Me?") attends the 91st Academy Awards. 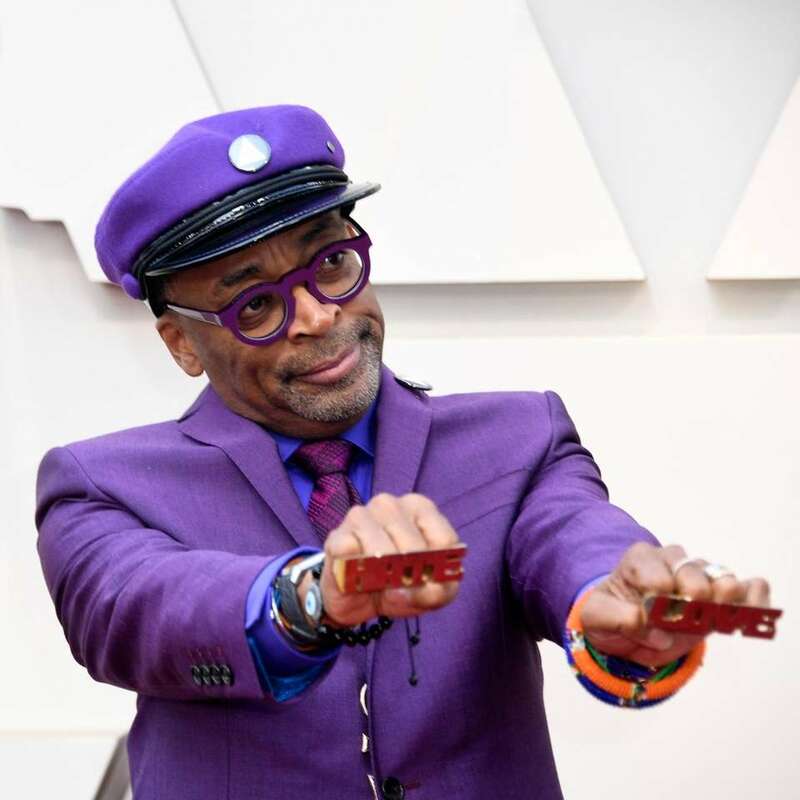 Best director nominee Spike Lee ("BlacKkKlansman") arrives at the 91st Academy Awards. 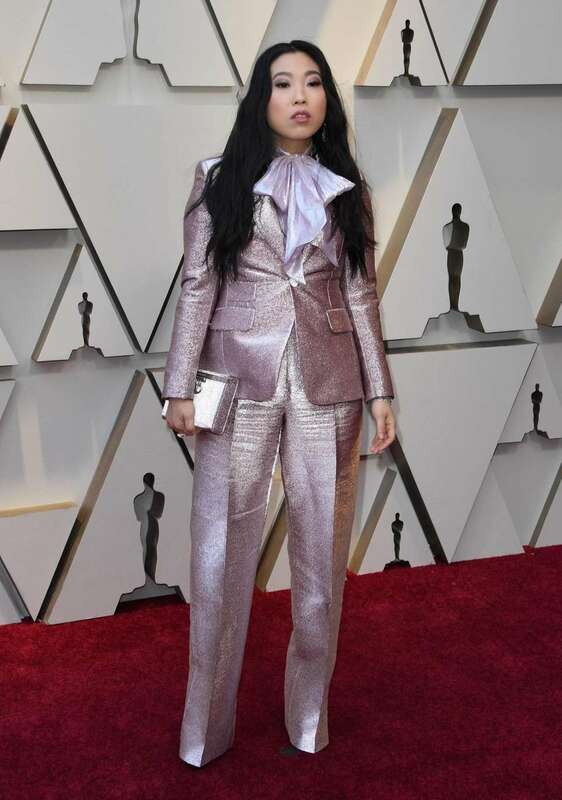 Actress/singer Awkwafina ("Crazy Rich Asians") arrives at the 91st Academy Awards. 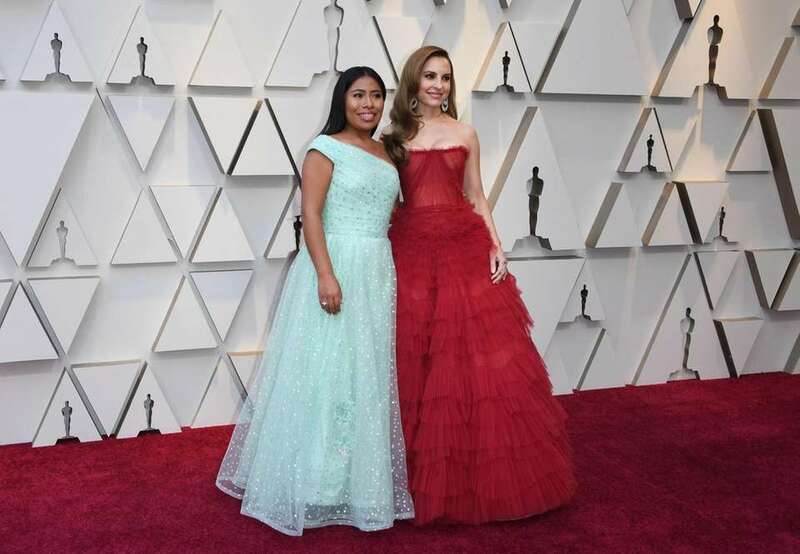 "Roma" co-stars Yalitza Aparicio, left, nominated for best actress, and Marina de Tavira, nominated for best supporting actress, arrive at the 91st Academy Awards. 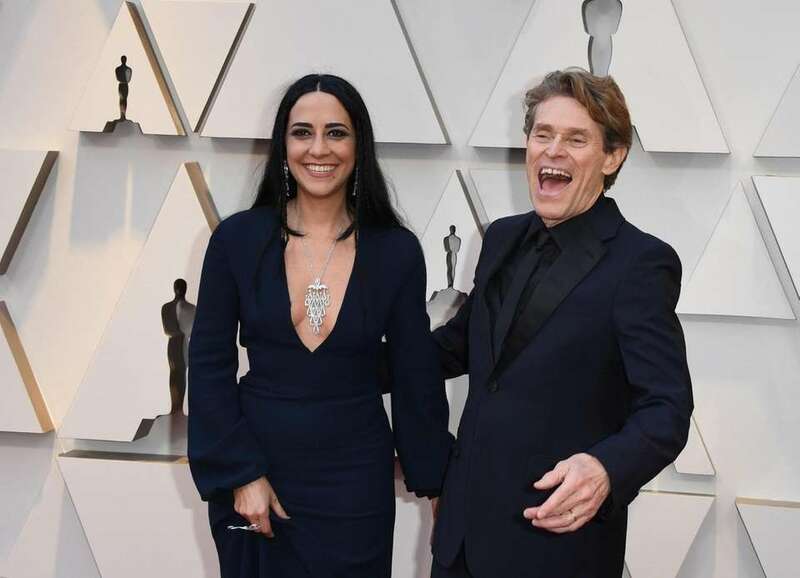 Best actor nominee Willem Dafoe (“At Eternity's Gate”) and his wife, Giada Colagrande, arrive at the 91st Academy Awards. 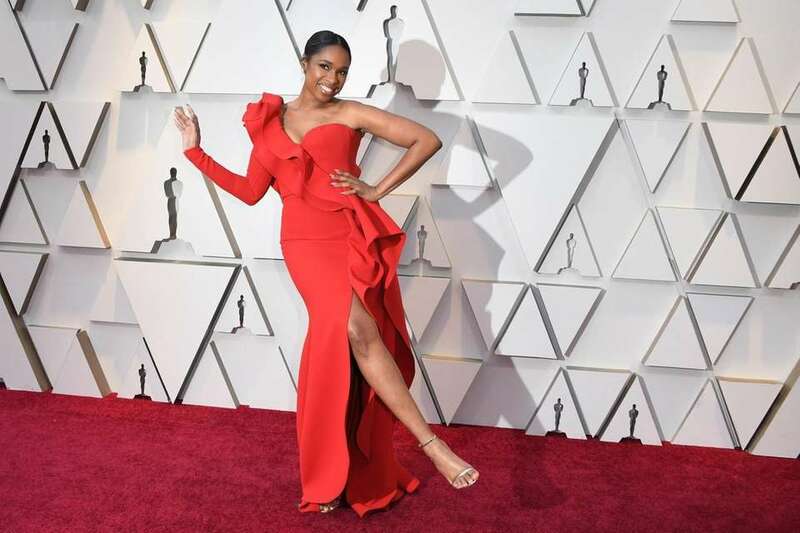 Regina King, nominated for best supporting actress for "If Beale Street Could Talk," arrives at the 91st Academy Awards. 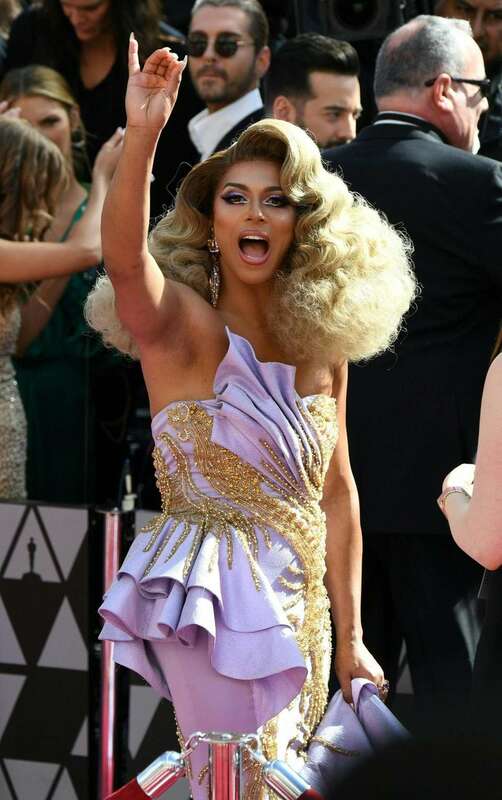 Shangela arrives at the 91st Academy Awards. 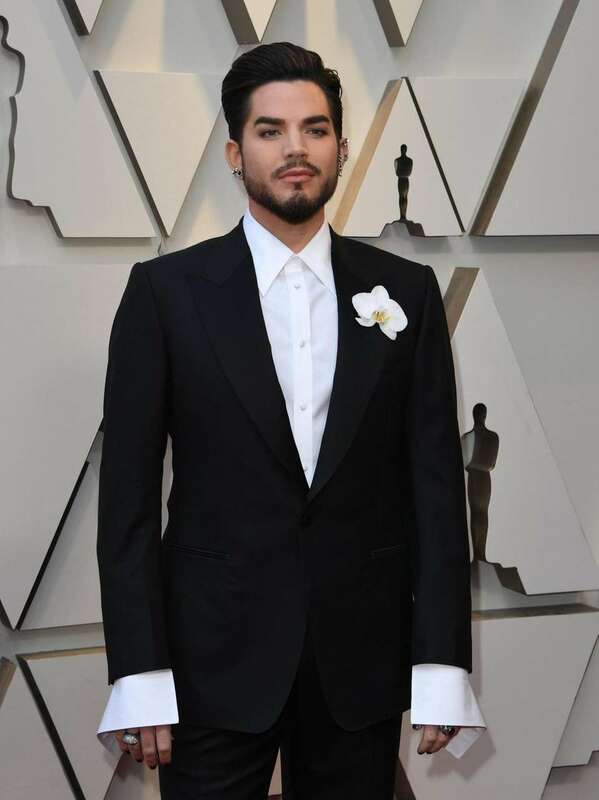 Adam Lambert arrives at the 91st Academy Awards, wearing Tom Ford. 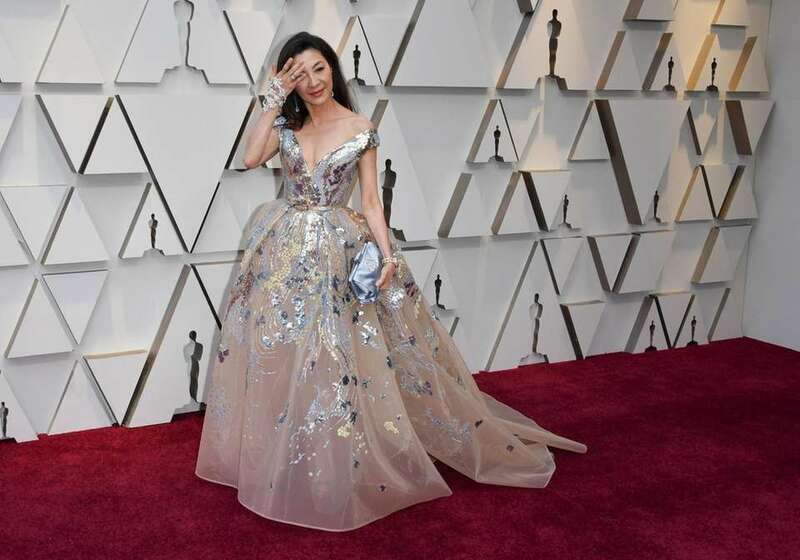 Actress Michelle Yeoh arrives at the 91st Academy Awards, wearing Elie Saab. 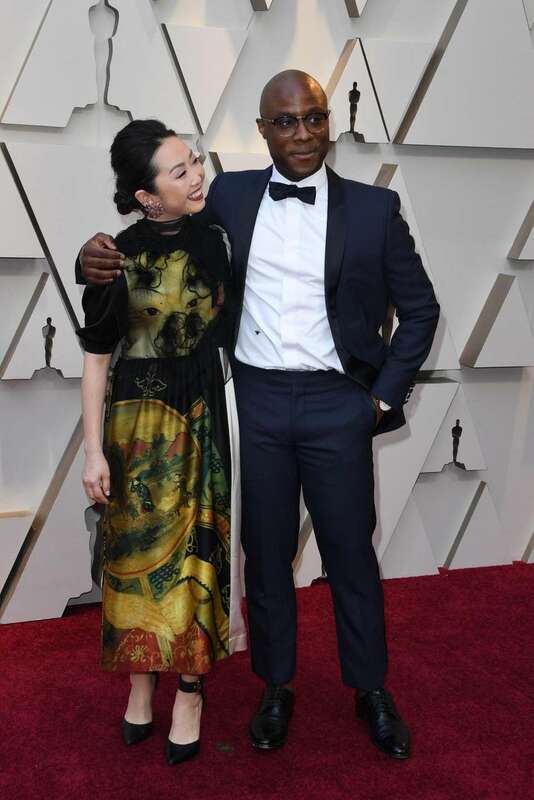 Barry Jenkins, nominated for best adapted screenplay for "If Beale Street Could Talk," arrives at the 91st Academy Awards. 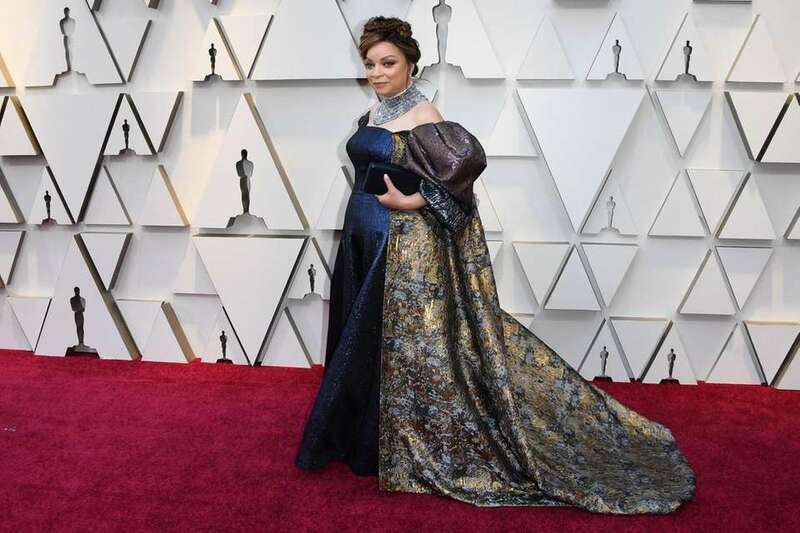 Ruth E. Carter, nominated for best costume design for "Black Panther," arrives at the 91st Academy Awards. 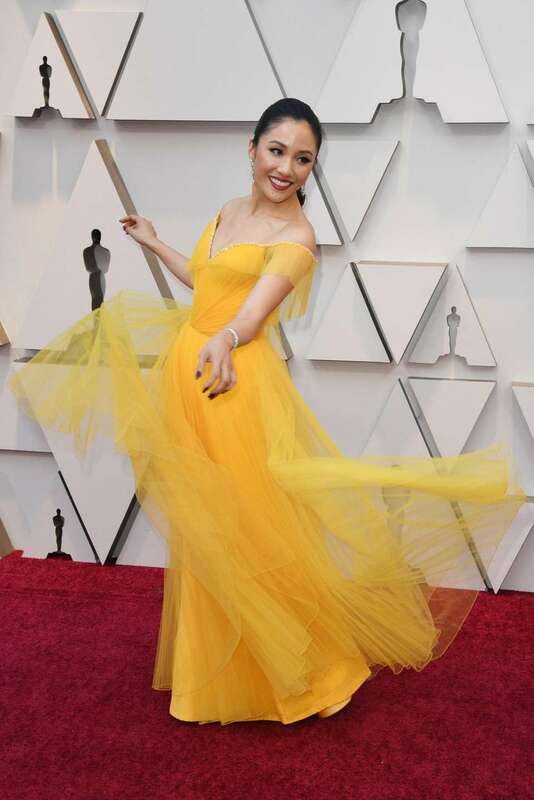 "Crazy Rich Asians" star Constance Wu arrives at the 91st Academy Awards, wearing custom Versace. 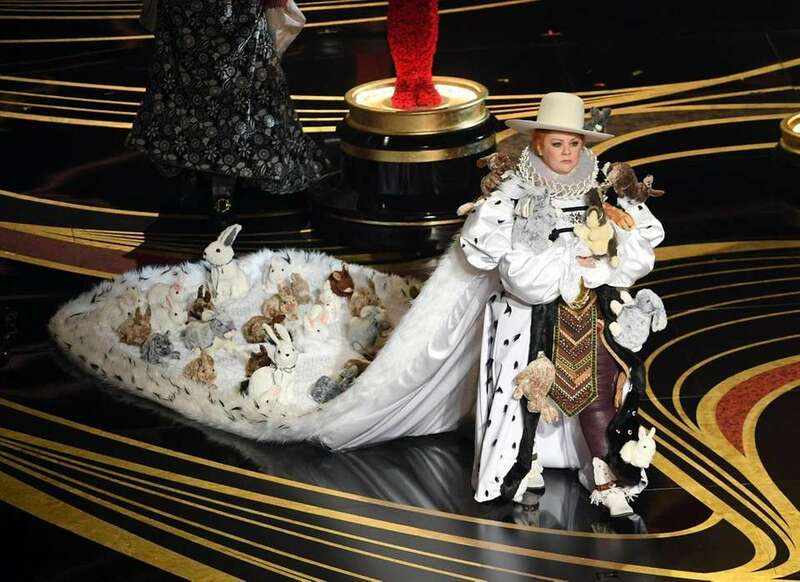 Elsie Fisher arrives at the 91st Academy Awards. 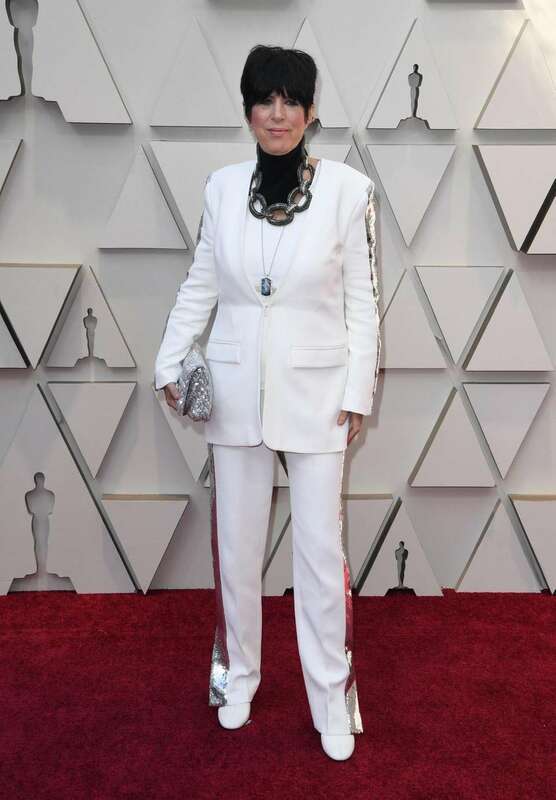 Diane Warren, nominated for best original song for "I'll Fight" from "RGB," arrives at the 91st Academy Awards. Ceremony presenter Amandla Stenberg arrives at the 91st Academy Awards. 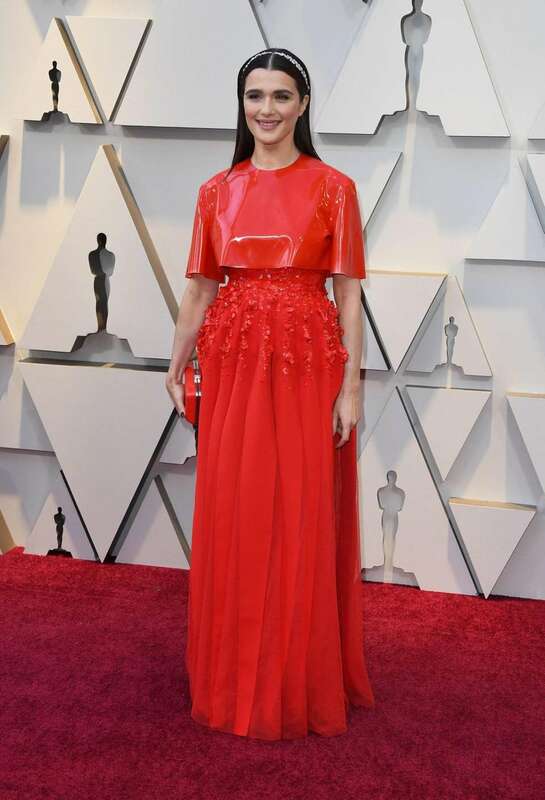 Organizing guru Marie Kondo arrives at the 91st Academy Awards. Actress Eva Melander arrives at the 91st Academy Awards.